As per the neurologists, almost 38% of all migraineurs should follow a preventative strategy to reduce the number of their migraine episodes. But only a third of that percentage followed a daily preventative regimen with the rest of them only resorting to band aid approaches and tackling the pain once they are in the throes of a migraine attack or are expecting one within a few hours. The approaches they often took were such as were not proven effective in scientific testing before. First line prescription drugs must be taken on a daily basis to bring down the number and intensity of the attacks. Effective For Prevention: Anti-seizure medications Divalproex sodium, Sodium valproate, Topiramate, Metoprolol, Propranol, Tumolol. Effective Herbal Preparations: Butterbur / Petasites. Probably Effective: Nonsteroidal anti-inflammatory drugs or NSAIDS such as Fenoprofen, Ibuprofen, Ketoprofen, Naproxen, Naproxen Sodium, Subcutaneous histamine, Complementary treatments, Magnesium, Riboflavin, Feverfew. 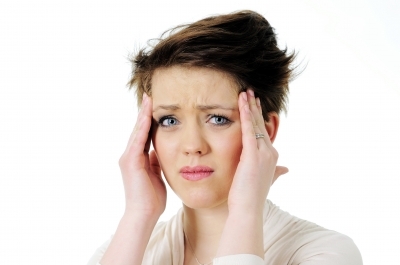 Found Not Effective: Anti-seizure drug lamotrigine was not effective in preventing migraine. The exact reason why a migraine attack begins is not yet clear to scientists. However, based on years of data gathered from cases that report for treatment assistance to clinics and hospitals, several migraine triggers have been identified. Nausea may be tackled with taking of anti-emetic along with the analgesic in the prescribed dosage. It is also important to not stay on an empty stomach for long durations. A light snack taken frequently helps in stubbing the queasiness and helps by utilising the excessive bile migraineurs release during attack episodes. The best way to manage a visual aura is to stop or put down what you are doing and stand until you can get to a place where you can sit or lay down. It is dangerous to operate any machinery or drive at such times. Breathing in deeply and fully and massaging of temples with a balm may aid temporarily. Going to a dark room or one with curtains drawn and lights turned off helps. Wearing dark glasses helps when outdoors. Noise disturbances may be managed with an earplug or by putting cotton wool in the ears to keep out or dull the surrounding noises. Constipation may be helped by taking tepid fluids such as warm milk or ginger tea or warm water etc. It is also advisable to have allergy-free natural laxatives like flaxseeds and high fiber diet including wholegrain cereals if you are gluten tolerant. Yet another accompanying nuisance with migraines, diarrhoea may be managed by taking stomach-binding foods and avoiding those with high fibre content. Holistic Health Therapist recommended the inclusion of herbs such as feverfew, St. John’s Wort and butterbur in one’s diet. 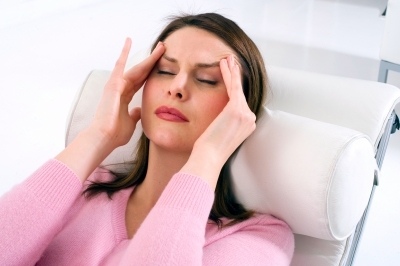 Conventional physicians are of the opinion that calcium and magnesium supplements help take the edge off migraines. Tryptophan and omega 3 rich foods and B vitamins are also advised by doctors. Excedrin is a leading non-prescription drug from Novartis from the acetaminophen or paracetamol family that uses a combination of paracetamol with caffeine and aspirin designed especially to tackle migraine pain. Excedrin is available in geltab, tablet and caplet forms. Dosage and frequency of drug intake should be as per label instructions or doctor’s advice. It is important to understand and comply by the contraindications and warnings mentioned on the label of Excedrin Migraine and all other drugs. Last week we saw how eating a tryptophan-rich diet didn’ t necessarily translate into increased serotonin levels in the brain unless backed by adequate Vitamin B3, B6 and complex carbohydrates. It however, did place one a better chance at getting a serotonin boost. Studies have established some links to a defecient state of brain serotonin with other neurological afflictions besides migraines, such as alcoholism, depression, suicidal tendencies, PTSD, obsessive compulsive disorders, generalised anxiety disorders and social phobia to name a few. 1. Low levels of production of brain serotonin. 4. Defeciency in tryptophan levels in our body. There is a new and fifth interesting dimension that has cropped up – that of the serotonin transporter gene (SERT). To relay a message, a neuron releases serotonin into the synapse or the gap between two neurons from where their dendrites begin. Once the message is relayed to the next neuron, the released serotonin in the synapse is collected and transported back to the pre-synaptic neuron by the SERT. SERTS are monoamine proteins. It has been found that when there are changes in the SERT metabolism, neurological afflictions begin. It is also now being thought that the gene (called SLC6A4 – Solute Carrier family 6, member 4) that encodes the SERT can be mutated and result in changing the functions of SERT. The area (aka promotor) in the gene SLC6A4 which synthesises RNA under the instrucions from DNA, contains polymorphism – some long repeats (16 repeats of a sequence) and some short repeats (14 repeats of a sequence). Shorter repeats obviously enable lesser coding in them and thus when we have a pair of short repeats we get an increase in the risks of developing disorder states. So though SSRIs and beta blockers may help migraineurs as well as those suffering from insomnia, depression, PTSD and other anxiety disorders, their efficacy will not be the same between 2 persons with the same condition. Those predisposed to neurological and psychological conditions due to the presence of 2 short versions of the gene will be less benefitted than those with other variations (2 long or 1 long and 1 short). Copyrights apply on this blog. Refer copyright permissions. Feel free to leave your comments on this post.